This is the fifth in a series of blog postings where I will introduce you to members of the Etsy bookbinding team (BEST), moving from A to Z. Today’s letters are “E” and “F“: this will be a shorter post as there are exactly 3 shops whose names begin with these letters. 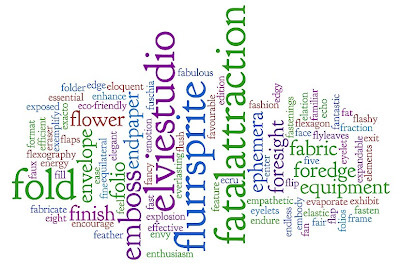 Enter ElvieStudio and meet the enthusiastic Lori. 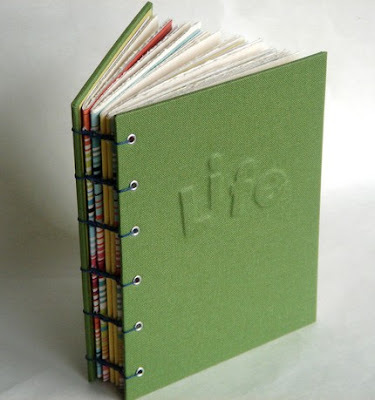 Her book of life exemplifies an eyelet binding, embossed letters and an effective use of colour. 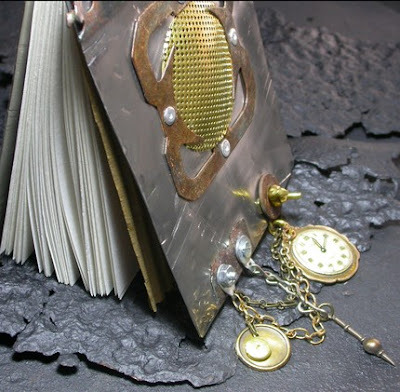 At FatalAttraction you’ll find filigree jewellery and fine books. Featured here is the fabulous Ideogram, Triangulation and Foresight Journal. 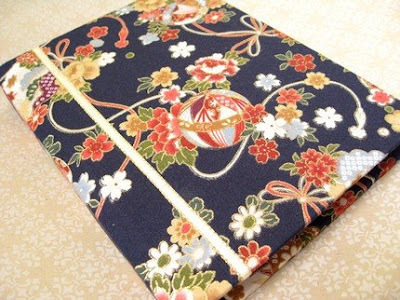 Maiko of Flurrsprite has fabricated this sakura ball handbound book with floating flowers finished with a fancy ribbon. How awesome! Thanks for sharing!